For a lazy but obsessed birder (like me) it's the perfect event. On Sunday October 9, thousands of people from all over the world will sit - and watch birds. The event is called The Big Sit. Founded by the New Haven Bird Club, hosted by Bird Watcher's Digest (BWD), and sponsored by Swarovski Optik, The Big Sit is free, non-competitive, and open to every single person on the planet. That means YOU!! To participate: Decide if you're going to sit alone or with friends. (Latter option highly recommended!) Then, sometime before October 9 choose your spot. It should be comfortable enough to hang out there all day long (or as long as you can manage) and yet bird-friendly. (The parking lot of FolkLife Village probably isn't "the spot to be". By the sea or in the 707 might be good. 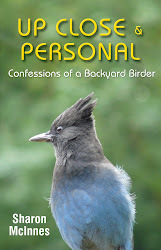 Or in your own back yard, even, if lots of birds hang out there.) Once the spot is chosen, draw a 17-foot diameter circle around the 'anchor spot'. (The line can be real or imaginary). Then, count every species of bird you see or hear from the circle for as long as you last. The count starts at one minute past midnight and ends at 11:59 pm so there's plenty of time! But you can choose to "sit" for as little as an hour if you like - just for the fun of it. You can participate with or without registering, but if you register, be sure to read the official rules by clicking the link below. You might win prizes! But more importantly, your data will be be collected and used for a good purpose. Pray for sunny skies! Organize food and drink and friends! Have fun!